Sensi #140 fem (Chocolope x Hindu Kush) – Aromi deliziosi, dolci, cremosi, terrosi; effetto sia calmante sia euforico. SENSI #140 FEM Chocolope x Hindu Kush combines two legends of the cannabis world to create a mass-producing strain which is both calming and euphoric. Chocolope is an homage to the chocolate strains that dominated the 1980s. This sought-after variety is a multiple-award-winning sativa with a heavy yield and rare Chocolate Thai heritage. Which better strain to breed it with than our own Hindu Kush, a breeder’s choice renowned for its stability and sturdiness? The lineage of these two varieties combined results in a new variety expressing the Chocolope’s Thai traits, with the high yield derived from the Hindu Kush’s Indian heritage. With its sweet, creamy taste and earthy undertones, this variety is certain to satisfy the pickiest of cannabis connoisseurs, making up for its longer than average flowering time. Sensi #140 Feminized is a is a feminized strain, which will only produce plants that flower as females.. The Sensi #140 Feminized strain has large proportion of Indica genes in its background. Sensi #140 Feminized will have a very long flowering time, but the buds they can produce are more than worth the wait! Sensi #140 Feminized will grow substantially during the flowering phase. Sensi #140 Feminized can produce an outrageous amount of weed, but may require a little extra attention. Sensi #140 Feminized can be grown outside in a warm, sunny climate with a long summer. Sensi #140 Feminized Seeds is added to your shoppingcart! 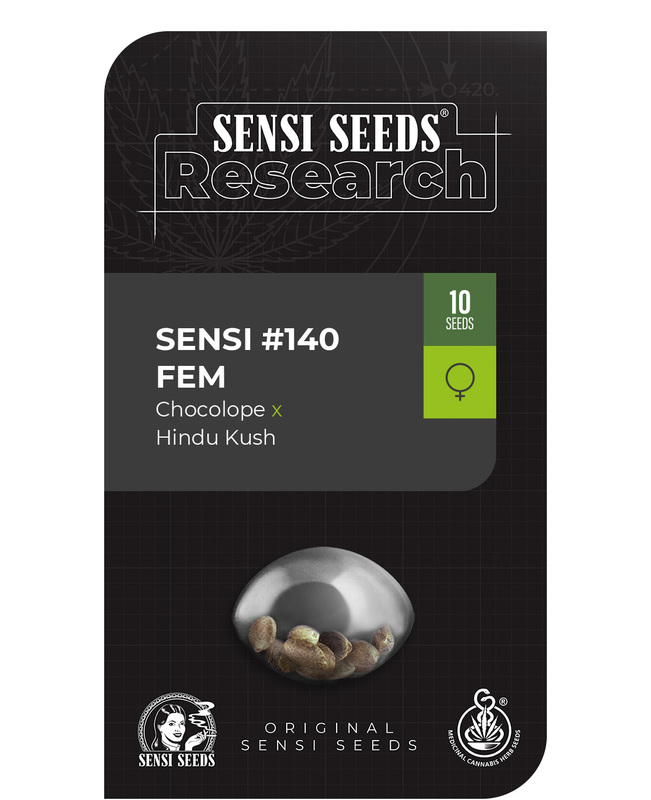 Sensi #140 Feminized Seeds is added to your wishlist!